Wine Criticism – Page 5 – GARGANTUAN WINE. In this final article (here is the first) examining our curious critical prejudice against dry white wines, I examine our inability to fully appreciate perfect Chablis with Patrick Piuze and share tasting notes on four of my all-time favorites. If you’ve not yet tried a Piuze Chablis, you don’t know what you’re missing. Patrick Piuze left his wine bar in Montréal in 2000 to make Chablis, and after working for Leflaive, Verget, and Brocard, he knocked it out of the park in his first solo vintage: the outstanding 2008. Some dubbed him the new Raveneau. In addition to his Grand and 1er cru bottlings and his absolutely stellar Petit Chablis, Piuze also vinifies AOC-level grapes that he purchases from growers in various Chablis regional terroirs that he groups in a single bottling: “Terroir de Courgis”, “Terroir de Fleys”, “Terroir de Chichée”, or “Terroir de Fyé”. These subdivided AOC bottlings compel us to listen even closer to Chablis. “Talk to people in Courgis or in Fleys, and they’ll tell you it’s all the same. But it’s not,” Piuze notes. Piuze also notes how in one particular portion of the grand cru Valmur — where he purchases grapes from Domaine Vocoret — there is a significant difference in the size of the grapes based on the varying amounts of limestone and clay underfoot; he notes how this invariably affects drainage and drastically changes what ends up in the glass1. 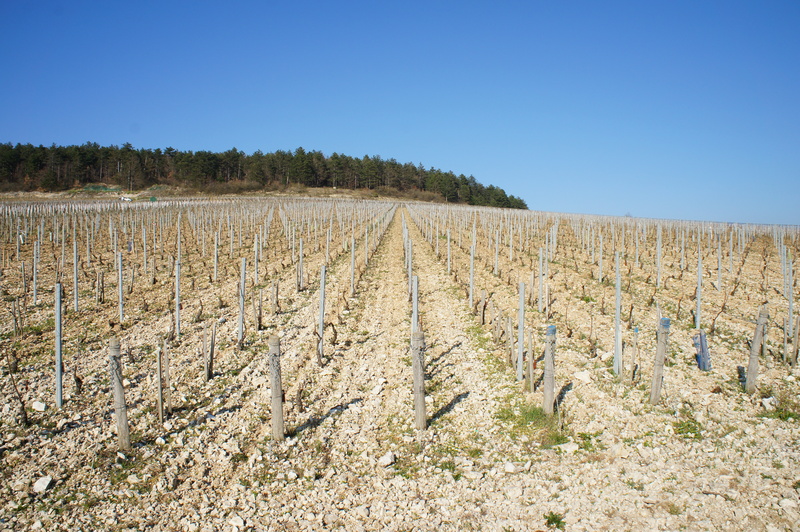 Aside from needing to be an authentic expression of terroir, what is a perfect Chablis? When does a Chablis distinguish itself from others to the point where it deserves to be considered perfect? In Chablis, we produce Chablis, and the Chardonnay grape is only a vector to accomplish that goal. What deserves to be called “perfect” is when the wine talks about its origine — where it’s from. Chablis can be described as acidity and minerality, bonded together, lending Chablis its own particular personality. Do you think Chablis must age its ten years and acquire tertiary characteristics in order to be considered perfect? Should a luscious, younger Chablis be judged perfect by critics? It’s not a silly question. It’s very important. One simply never sees a 100/100 or a 20/20 point Chablis. Why? And why ask this of Chablis, rather than some other heralded dry white wine—when we all know that the wines given 100 points are ageworthy, massive reds from Bordeaux, California, or Piedmont; dusty, vintage Champagnes; or, if made of entirely white varietals, dessert wines1? (It would seem old, brawny and sweet are generally the orgasmic fancy of the 100 pointers). But among Old or New World critics, only once did Chablis get a gold star. In November 20044, only weeks after Bettane and Dessauve split from La Revue du Vin de France5 in reaction to the Revue’s acquisition by the teen magazine publisher Marie Claire, the magazine awarded 20/20 points to the ’79 Raveneau Les Clos. Pyrrhic victory for Chablis, perhaps, as makeup-covered, teeny-bopping Marie Claire was at the helm? But, save for that: that’s it. Really? Among the entire scored back vintage history of Chablis? Just one disputed, single instance of perfection, regardless of vintage and producer? “Even Raveneau was only able to get it together once in all those years”, you’d ask? It’s odd, to say the least. But why not instead ask why there is rarely a 100-point dry Savennières? Keller Riesling6? Or Huet Vouvray7? You could just as easily prod our readiness to recognize perfection in those undeniably mesmerizing, ageworthy racehorses. It’s because Chablis is the most amazing dry white wine in the world. It’s a standard-bearer for terroir-driven wines that show their minerality to nearly any taster (only Riesling gives Chardonnay growing in Chablis a run for its money regarding transparency). No one can argue with Chablis when it manages to transmit its Kimmeridgian or Portlandian limestone terroir in an indelible, recognizable aroma of the sea and its minerality. Follow the treeline: Les Clos, arcing down towards Blanchots on the right. A lunar landscape.